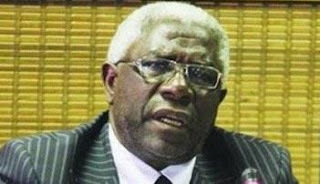 Suspended University of Zimbabwe (UZ) vice chancellor Levi Nyagura will now stand trial on May 16 after his application for exception was today thrown out by a Harare magistrate. Nyagura is accused of illegally awarding former First Lady Grace Mugabe a PhD. In his application for exception and quashing of an indictment, Nyagura through his lawyer Advocate Sylvester Hashiti, said he was being wrongly charged adding that a vice chancellor was not responsible for the award of degrees. However, in his ruling, the acting chief magistrate Mr Munamato Mutevedzi said Nyagura had a case to answer.